WinSynchro : bidirectional synchronization of folders or complete drives in Windows. File synchronization, folder replication, disk replication, mirroring files and folders. From disk to disk, from pc to pc, either locally or via network. Data security for documents to be modifieded on several computers. Transportation of documents on external drives, usb flash drives etc... File synchronization, folder replication, disk replication, mirroring files and folders. You often bring documents from your workplace to your home using a portable hard drive or a USB flash drive. You probably already overwrite your modified files and lost your work. WARNING: your data is in danger! WinSynchro is the absolute solution to this problem: you no longer copy the folders but you synchronize the folders. The free version has no time limitation but the maximum size of the folders you can synchronize with the free version is limited. The software can be used immediately on downloading. Activation is automatic. You take data from a server on a laptop on the road you must synchronize your laptop with the server to and returning from travel. You often copy on your laptop a large volume of data hosted on a server: synchronizing a large volume of data is incomparably faster since only one the files that are not up to date are copied. You need to maintain folders or discs up to date with recent changes (mirroring RAID). WinSynchro can manage your synchronizations and run them automatically at intervals of time or specific times (Pro version). You're using a cloud (DropBox, GoogleDrive, Hubic ovh, Amazon Drive, Orange cloud, SFR cloud etc ...) and you dont want to or can not move some of your local folders to your local cloud folder. Winsynchro will allow you to synchronize the desired local folders in your cloud folder without having to move them. You continue to use your local folders as before but they are synchronized with the cloud folder and therefore on your other devices connected to this cloud. Use your local apps as Cloud Native Apps. With the ability to perform unidirectional or bidirectional synchronization, Winsynchro can be used as a manager of automatic or manual backups. Backups are very fast as only files that are not up to date in the backup are copied. Winsynchro can be used very quickly from the context menu that appears on all folders. It opens the window of WinSynchro in compact mode for a bidirectional synchronization of the folder with its image. At the end of each synchronization, a report is created and saved in the folders. Winsynchro is a software RAID system used on all types of drive or file storage: hard drive, USB key, external disk, network drive, network location ... disk mirroring. RAID : Redundant Array of Independent Disks. Professional : Complete version with all the advanced features. 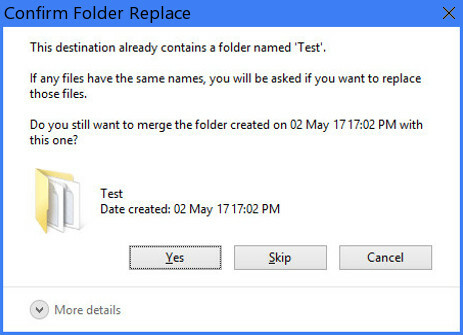 Free : Trial version limited to 5 files per folder . No limitation of time of use.